Get your MWS Credentials and connect your Amazon account with Zentail. For Zentail to sync your FBA inventory with Zentail, we need to enter your MWS credentials into our integrations page. Below are the steps for obtaining your MWS credentials and entering them into Zentail. Please copy/paste the credentials into the appropriate fields on Zentail to avoid any typos. Go to https://developer.amazonservices.com/ and click "Sign up for MWS" on the right side. Scroll down, Click "Visit Manage your Apps" on the left hand side under "Third Party developer and apps"
Click the teal "Authorize a Developer" on the top left under "Manage your Apps". Return to the users page where you can repeat steps 3 and 4 for the repricer authorizations below. Click on the Amazon channel tab (left side of the screen). Verify that you are in test mode, then copy/paste your Marketplace ID, Seller ID, and into the Marketplace ID and Seller ID fields. 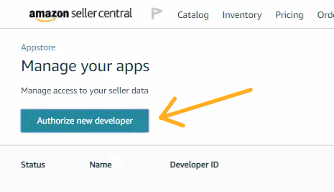 Enter your Seller-Developer Auth Token that you wrote down in step 5 from the ZentailCommerce app into the Seller Developer Auth Token field. Enter the Repricer Seller-Developer Auth Token that you wrote down in step 8 from the ZentailRepricer app into the Repricer Seller-Developer Auth Token field. Click the "Save Settings" button on the bottom right of the page. 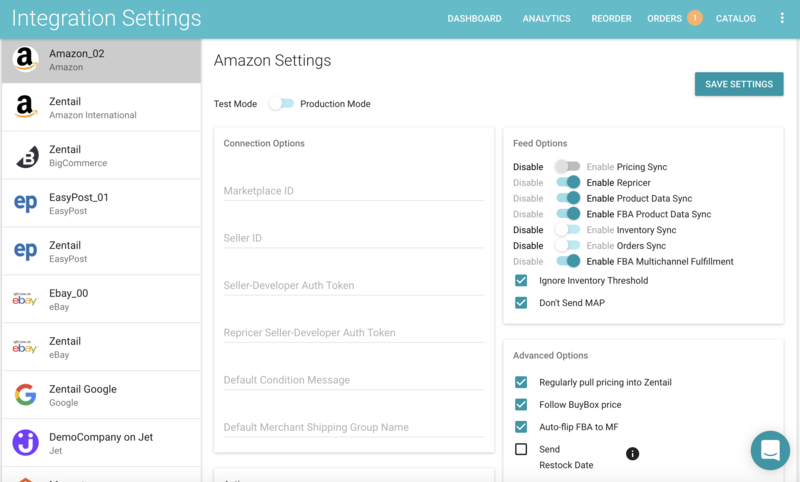 Zentail will automatically get FBA SKU values from Amazon once the integration is toggled to Production Mode. Visit the User Permissions page on Seller Central as the primary user. Under Amazon MWS Developer Permissions, you can view a list of developers who are currently authorized to use your account. To remove access for that developer, click Revoke under the Action column next to their name.